With the defeat and destruction of German Sixth Army at Stalingrad all but certain at the end of 1942, the war on the Eastern Front took a definitive turn as the Germans struggled to erect a new defensive front to halt the Soviet juggernaut driving west. 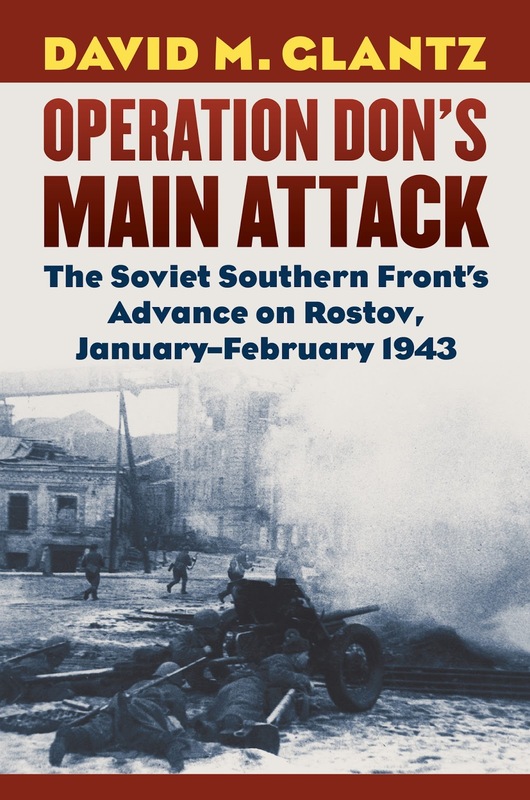 Operation Don’s Main Attack is the first detailed study of the dramatic clash of armies that followed, unfolding inexorably over the course of two months across an expanse of more than 1,600 kilometers. 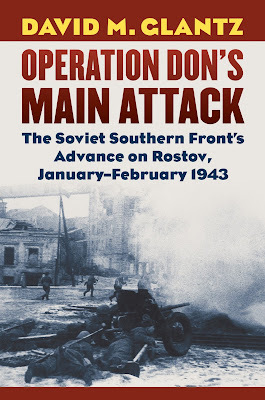 Using recently released Russian archival material never before available to researchers, David M. Glantz provides a close-up account, from both sides, of the planning and conduct of Operation Don—the Soviet offensive by the Red Army’s Southern front that aimed to capture Rostov in January–February 1943. His book includes a full array of plans, candid daily reports, situation maps, and strength and casualty reports prepared for the forces that participated in the offensive at every level. Drawing on an unprecedented and comprehensive range of documents, the book delves into many hitherto forbidden topics, such as unit strengths and losses and the foibles and attitudes of command cadre. Glantz’s work also presents rare insights into the military strategy, combat tactics, and operational art of such figures as Generals Eremenko and Malinovsky and Field Marshal Erich von Manstein. A uniquely informed study of a critical but virtually forgotten Soviet military operation, Operation Don’s Main Attack offers a fresh perspective on the nature of the twentieth century’s most terrible of wars.